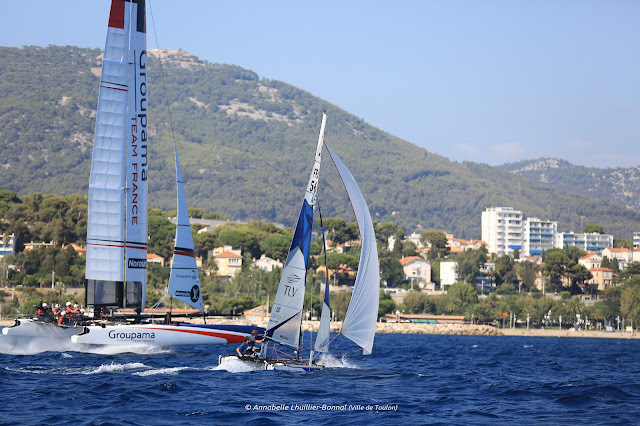 Video with some images from Toulon by Toulon Provence Méditerranée - Photos by Annabelle Lhuilier-Bonnal / Ville de Toulon . 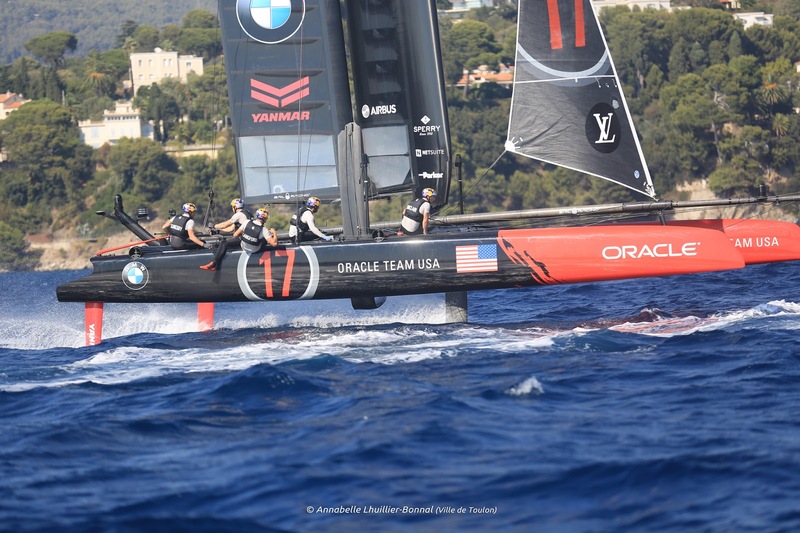 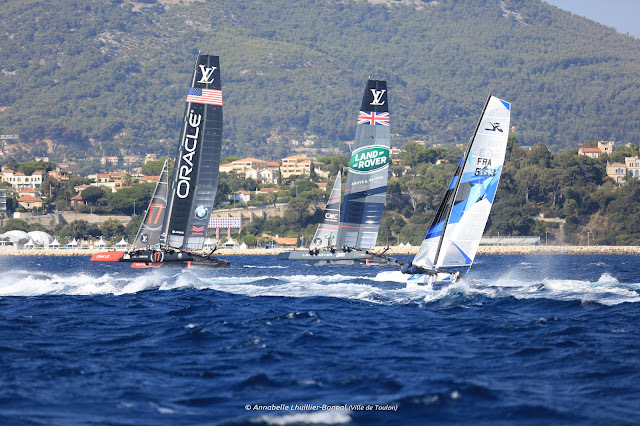 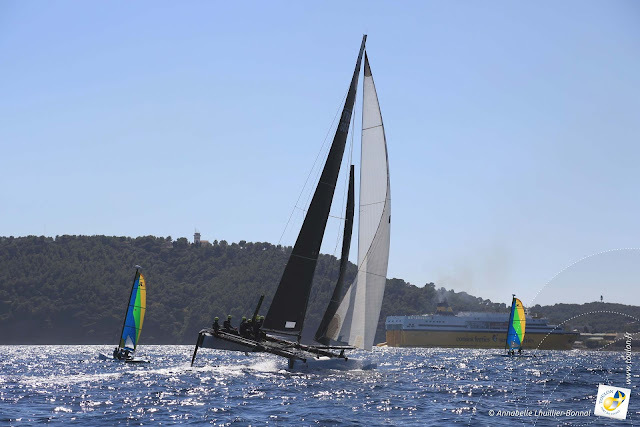 Good to see the AC45s going to adequate sailing venues like Toulon. 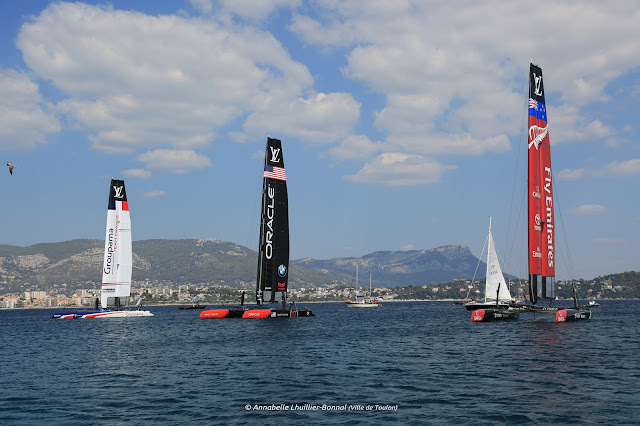 Great shot with the 45s & the F18. 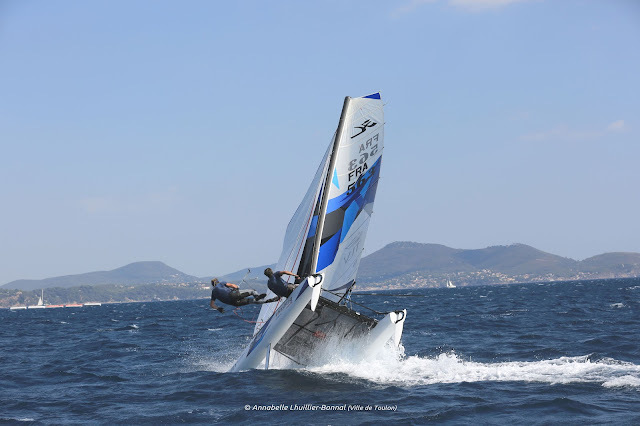 Pics & report sent by local F18 sailor James Baeckler & Yacht Club de Toulon / www.yctoulon.fr . 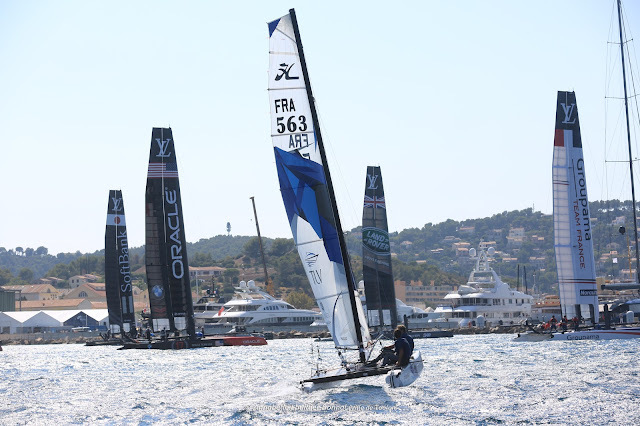 "It was Champagne sailing conditions for the media day in Toulon event ! The breeze started slowly during the morning allowing GC 32 to have some nice training who made happy the kids from the Yacht club de Toulon cat school, in the afternoon the breeze increased to a steady 20 knots when the AC45 went out. Tomorrow light breeze is expected for the practice races who are supposed to start at 14:00 local time. 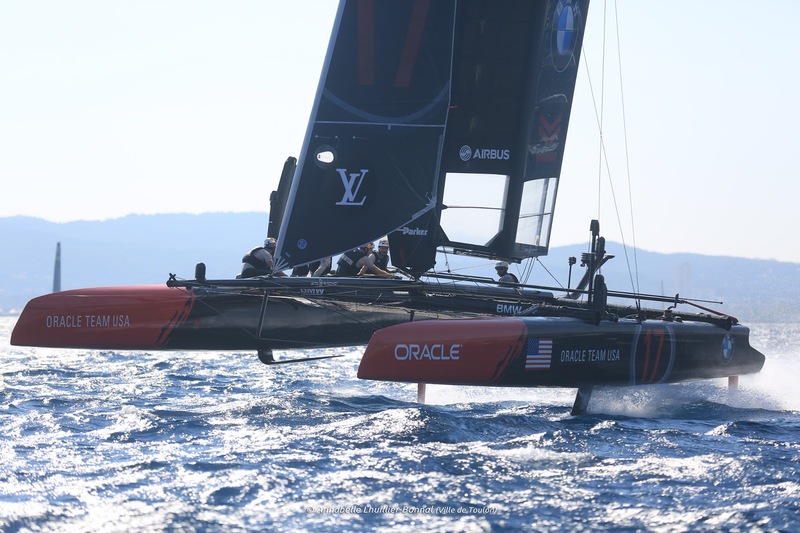 After the race an F18 sailing demo is planned in front of the tribune with some sailing tutorial from Yacht club instructors at the F18 tent. All cat sailors are welcome to share a friendly week end on the French Riviera"